The fabled rock documentary “1991: The Year Punk Broke” — chronicling Sonic Youth’s tour of Europe that year with opening act Nirvana — finally will be released on DVD this fall in a special 20th anniversary edition featuring 42 minutes of bonus performances and other off-stage material. The film’s director, Dave Markey of We Got Power Films, says Universal Music is releasing the DVD — which also features footage of Dinosaur Jr, Ramones, Babes in Toyland and Gumball — sometime this fall. It will feature commentary by Markey and Sonic Youth’s Thurston Moore, as well as rough edits and a photo slideshow. There’s plenty of footage from “The Year Punk Broke” uploaded online from old VHS copies — check out the clip of Sonic Youth playing “Schizophrenia” from the film below — and you can stream three segments of the new, unreleased footage here. 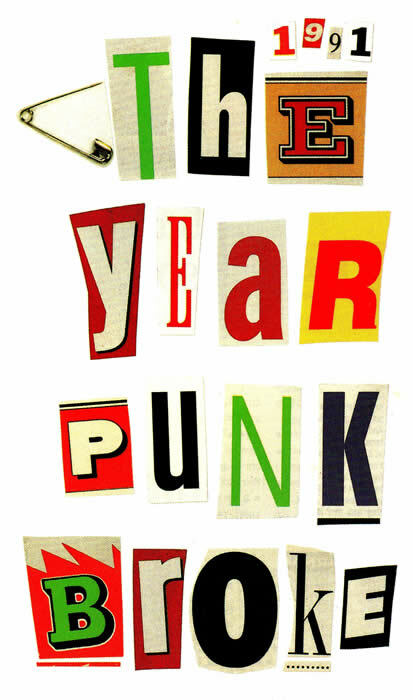 UPDATE 7/13/11: Sonic Youth today announced that the “1991: The Year Punk Broke” DVD will be released Sept. 6. More details here. this is awesome. any idea on release date? I remember this stuff! It’s when guitars and stuff were still relevant. Oh, the 90’s. Flannel and angst. Now all I need is for The Target Shoots First to come out on DVD, and I’ll be set. seem it and still have a copy. Dinosaur Jr’s live version of Freak Scene gives me the goosebumps and Sonic Youth’s Expressway was an eartreat. Nice to know it’s on DVD somewhere. And it features as bonus unreleased videos of Sonic Youth. “this is known as the blues scale” Would really love to see that.